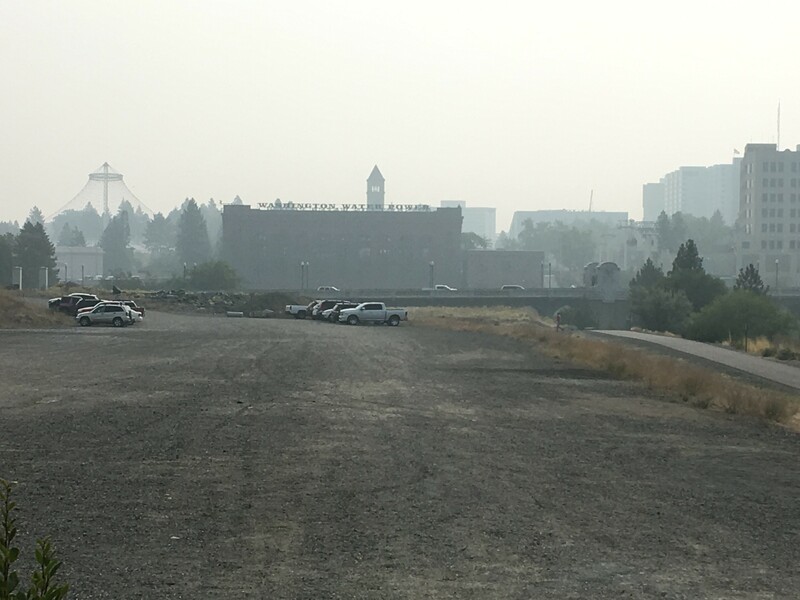 The view from Inlander HQ is quite smoky today. ARTS & CULTURE: In a piece of her artwork up on a wall in the Marilee, Sierra Duran describes how buildings inspired by downtown fade into a woman's face, in part, she says, a comment on the struggles of falling in with the wrong crowd downtown. Learn how you can see artwork by Duran and other artists who are currently or formerly homeless at an upcoming Volunteers of America fundraiser. NEWS: The rise and fall and rise of a pitch for a downtown Spokane stadium, explained. Spokane got national attention this weekend after the Associated Press wrote about how cool we are. The Seattle Times reports the final conversations Air Traffic Control had with a SeaTac employee who stole a plane this weekend as he flew over the Puget Sound, eventually crashing and dying in "a joyride gone terribly wrong." A fire started by lightning this weekend has forced evacuations and partial closures of Glacier National Park, the Flathead Beacon reports. Speaking of fires, there were plenty started over the weekend, leaving much of the region shrouded in smoke and making air quality unhealthy.